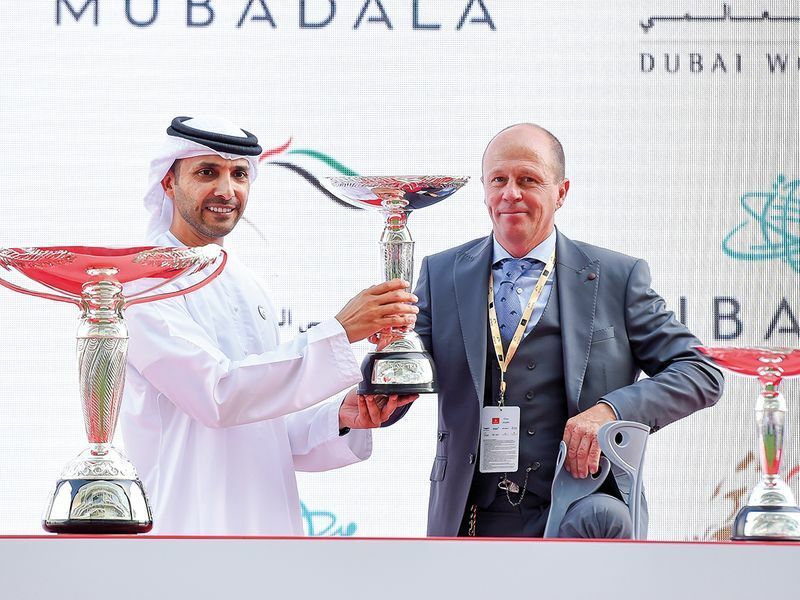 Dubai: It was a huge day for local Purebred Arabian breeders here as home hope AF Maher was ridden brilliantly to victory by Tadhg O’Shea in the traditional curtain-raiser to the Dubai World Cup card, the $1 million Dubai Kahayla Classic. The victory gave trainer-owner partnership of Ernst Oertel and Khalid Khalifa Bin Nabooda their first success in the Dubai World Cup meeting. The six-year-old son of AF Al Buraq led most of the race but lost ground with Fazza Al Khalediah overtaking after the final turn. However, in a frenetic final 200 metres, AF Maher again showed he had the legs and heart to succeed and he regained the edge and eventually won by a nose. Finishing third was the Eric Lemartinel-trained Amwaj under Fabrice Veron another 10-and-quarter lengths behind. 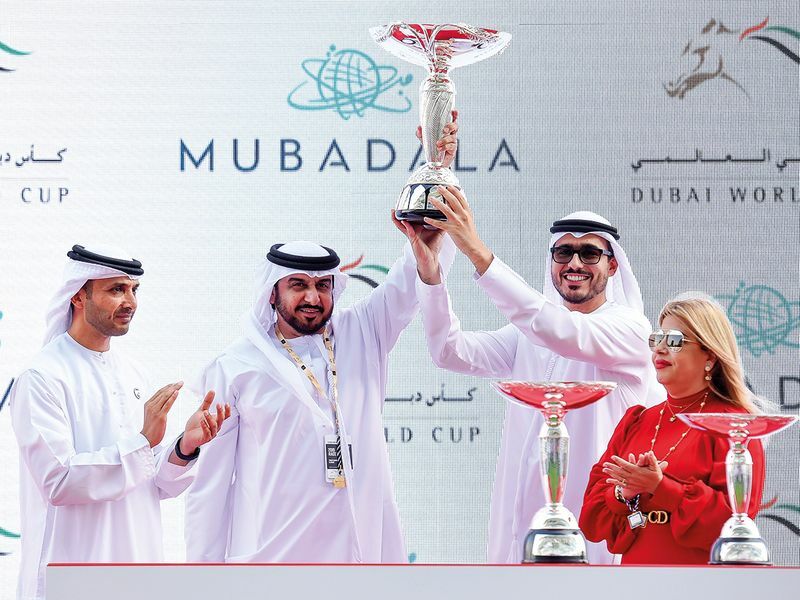 “It was very tough,” said a jubilant O’Shea, who was registering his second victory after he won the same race on board Mizzna at the old course in Nad Al Sheba in 2008. “To be fair you know, the second horse came and gave him a big bump. But all credit it has to take an Arabian with courage and determination and his abundance of all three. I said this in October, he is the best we had. O’Shea was adding another success to his tally after becoming the all-time leading jockey in the UAE, having gone past Richard Hills’ record of 504 winners earlier this month. Al Nabooda, who is in the lead for the UAE owner’s championship, was clearly on cloud nine and heralded the achievement saying: “I’m very happy and this is to prove that the local-bred horses can compete in such big races. My aim is to prove the world that we can breed Arabian horses. This a dream for every breeder and owner to win this race.